Synopsis: One minute, twenty-four-year-old Sophie Hansa is in a San Francisco alley trying to save the life of the aunt she has never known. The next, she finds herself flung into the warm and salty waters of an unfamiliar world. Glowing moths fall to the waves around her, and the sleek bodies of unseen fish glide against her submerged ankles. The world is Stormwrack, a series of island nations with a variety of cultures and economies—and a language different from any Sophie has heard. Huge thank you to Tor and Netgalley for this ARC! 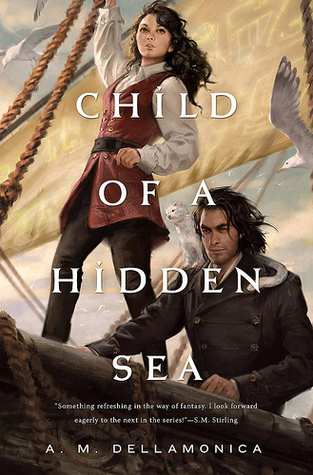 I’ve been having trouble trying to put into words why I enjoyed Child of a Hidden Sea. Timeslip novels are so difficult to do because they need to have some believability, but we all know how incredibly unrealistic they are as well. Usually what I factor is into is “do I want to timeslip back into this world again” and in the case of A.M Dellamoncia’s Stormwrack, the yes is unabashedly yes. A.M Dellamoncia creates a strong and rich world in this novel, and one that is easy to visualize and sensationalize as well. You get a sense of how the water may smell, how the air is, how vivid towns and cities are, and she immerses the reader in all of this without much difficultly. Furthermore, she fleshes out the characters so well, as it’s easy to enjoy Sophie’s antics, or the mysteries surrounding the various deaths within Stormwrack. There’s a surprisingly number of them! I like stories they do a great job of making the reader feel included. The only downside to this book I found was that sometimes the writing was a bit vague or confusing, and I know I had to reread bits to ensure I understood what was happening. There’s also a lot of telling in sections where I feel more showing would have benefited. The balance is not the best, but I don’t feel it makes the book so weak that it’s unreadable. Overall, I can say that I had a lot of fun reading Child of a Hidden Sea. The mystery elements with the added layer of fantasy and magic just made for such a fun voyage. Also sailing! Politics! And Bram. Bram is a fantastic character, and easily my favourite. This is a great adventure, and if you want something that will whisk you away, check this book out when it releases. 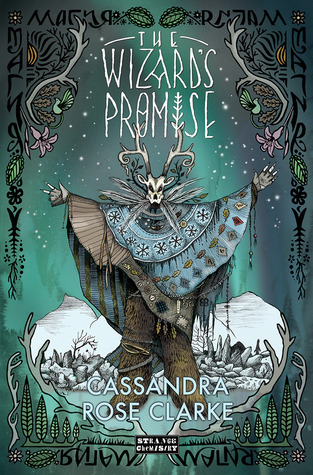 This entry was posted in Uncategorized and tagged adult, arc review, book review, fantasy, macmillan, pirates, Sam, timeslip, tor books on June 13, 2014 by samcmar.